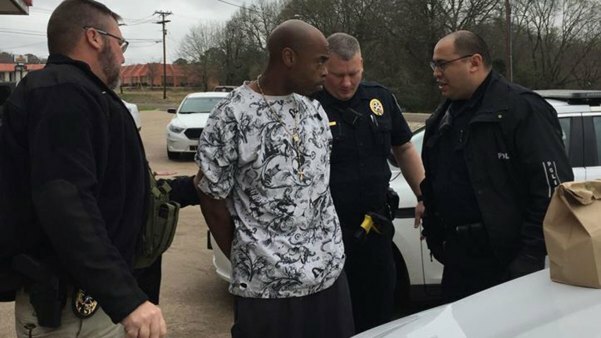 A man is under arrest in Palestine, Texas after police said he set a woman on fire during a convenience store robbery. Investigators said Robert Thompson walked into the Pitts Stop on the 1200 block of Link Street on Thursday and ordered two women, a clerk and a customer, to sit on the floor. Police said Thompson then bound the women with duct tape and doused them with lighter fluid before setting the customer on fire. Linda Camire was the clerk working at the time. “He started taping me up everywhere and said as long as I was quiet and didn’t speak I’d be fine," said Camire. She said her eyes were covered, so she could only hear what was happening as Thompson sprayed the women. "I was praying the whole time that he would help me, save me, that’s what I did," said Camire. The customer suffered burns to her head, face and neck and was transported to Palestine Regional Medical Center before being moved to the burn unit at Parkland Memorial Hospital in Dallas. The clerk was not injured in the attack. 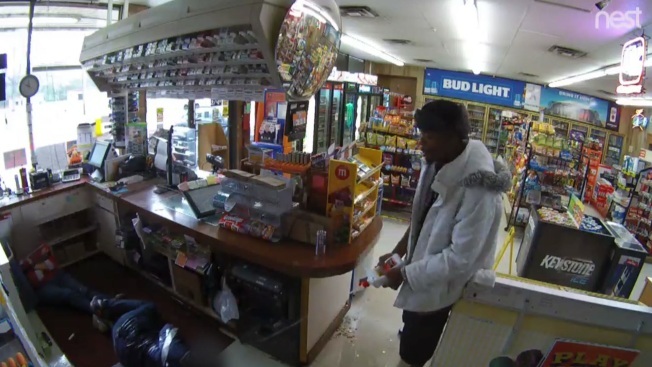 Later that afternoon, after reviewing surveillance video from the convenience store, Palestine, Texas, police located Thompson at a different convenience store and placed him under arrest. Robert Thompson was arrested by Palestine police on Thursday, Feb. 21, accused of aggravated robbery with a deadly weapon for setting a woman on fire during a convenience store robbery earlier in the morning. Thompson was charged with aggravated assault with a deadly weapon and aggravated robbery and is being held on $4 million bond. The video, released by police, shows the women bound up on the floor and a man spraying lighter fluid over their bodies and along the counter and the walls and of the store. The man is then seen lighting the fluid. “I am proud of our officers and detectives who worked non-stop and seamlessly to get a violent offender off of our streets. A special thank-you to our local law enforcement partners including DPS and our Constable Muniz, Precinct 4.” Chief Andy Harvey, Palestine Police Department. Officials have not said if Thompson will face any other charges in the case.